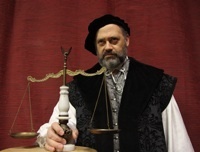 Tickets for The Merchant of Venice are available now on our website! Seating is limited, and last winter's show sold out every seat well ahead of time. Don't miss out on your chance to catch this rich and complex play in our Fall Creek space. Tickets start at just $12, and there are NO service fees! Join Us For A Special Venetian Carnival Celebration On Opening Night! Carnival in Venice is one of the world's great festivals, dating back to the 12th century and drawing up to 3 million visitors a year to Venice to participate. The famous masks worn during Carnival have become iconic images and enduring symbols of Venice. 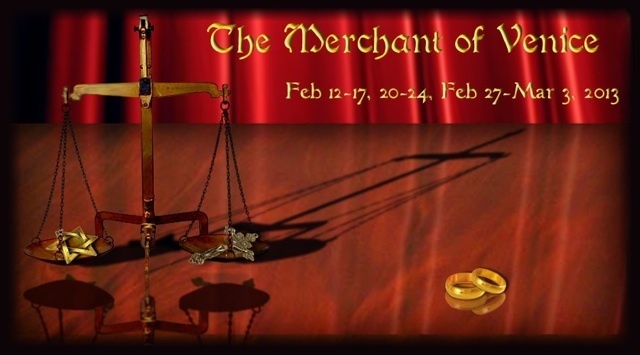 In 2013, the final night of Carnival is Tuesday, February 12 — which (not coincidentally) is the opening night of our production of The Merchant of Venice. Add a dinner package for a complete night out! Seating is limited, and our last Fall Creek production sold out every seat in advance — so don't wait too long to reserve your seats! and a complex, deeply human examination of love, family obligations, and religious prejudice in 16th-century Venice. See you in Venice in February!